You'll be £4.99 closer to your next £10.00 credit when you purchase Women in War. What's this? The changing role of women in warfare, a neglected aspect of military history, is the subject of this collection of perceptive, thought-provoking essays. By looking at the wide range of ways in which women have become involved in all the aspects of war, the authors open up this fascinating topic to wider understanding and debate. They discuss how, particularly in the two world wars, women have been increasingly mobilized in all the armed services, originally as support staff, then in intelligence, and defensive combat roles. They consider the tragic story of women as victims of male violence, and how women have often put up a heroic resistance, and they examine how women have been drawn into direct combat roles on an unprecedented level, a trend that is still controversial in the present day. The implications of this radical modern development are explored in depth. The authors also look at the support women have given to servicemen fighting at the front and at the vital contribution they have made at home. 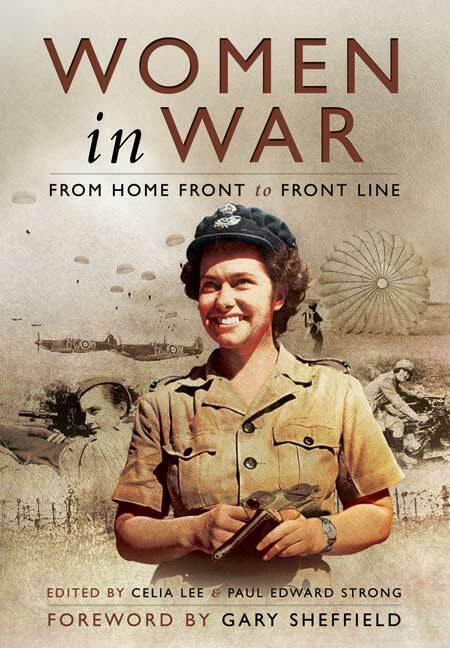 The collection brings together the work of noted academics and historians with the wartime experiences of women who have remarkable personal stories to tell. The book will be a milestone in the study of the recent history of the parts women have played in the history of warfare. An excellent anthology, which focuses on the changing role of women in war. This helpful and well researched book graphically illustrates an important leg in the journey of fighting women - from 'home fire tenders' to 'comrades in arms'. I am thoroughly enjoying this book on a subject matter that has long been neglected. The role of women in warfare has changed over the centuries, as indeed their role within society generally and I suppose I have grown up with the rather ʻWesternisedʼ view of just exactly what this role should be ( a la Titanic – women and children first). I suppose I have always been aware of women in the armed services as my sister was in the WRAF at Bentley Priory in the War, and I had the privilege, in the early part of my career, to work with an ex WRNS who was in the intelligence branch. revelation, from morale boosting in the Great War, operating search lights in the Second and in the thick of it on the Eastern Front. Their role in the ATA (a truly equal opportunity employer) and of course clandestine operations are just amazing and make one understand just what the phrase ʻtotal warʼ means. This is a great book to have by oneʼs bedside as each essay is complete in itself, so you can dip in anywhere, then dream of your own heroism - buy it!